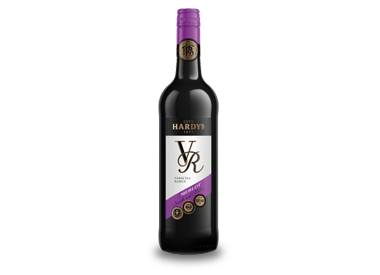 Hardys Varietal Range proudly bears the Hardys seal, providing consumers with confidence in the pedigree of the product. Medium to deep ruby red in colour with purple hues, the Varietal Range Merlot exudes aromas of ripe raspberry, blueberry and plum, woven together by fine notes of chocolate. On the palate rich raspberry, blueberry and plummy fruit flavours are complimented by soft spicy oak characters. This wine has soft fruit and oak tannins, balanced acidity and generosity of flavour that lingers on the palate. This wine marries well with red meat dishes or a roasted vegetable risotto.